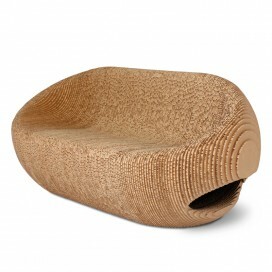 Recycled cardboard double seat with a gentle flowing shape inspired by the infinite layers of the Grand Canyon. To furnish in an environmentally friendly and innovative way. Designed by Giancarlo Zema. 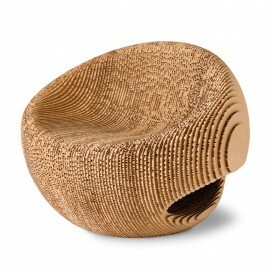 Recycled cardboard single seat with a gentle flowing shape inspired by the infinite layers of the Grand Canyon. To furnish in an environmentally friendly and innovative way. Designed by Giancarlo Zema. 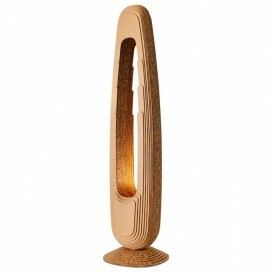 Recycled cardboard floor lamp with a gentle flowing shape inspired by the infinite layers of the Grand Canyon. To furnish in an environmentally friendly and innovative way. LED lighting. Designed by Giancarlo Zema. 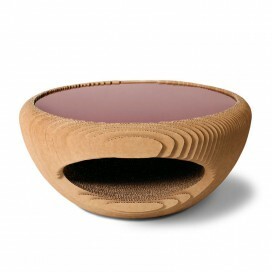 Recycled cardboard coffee table with a gentle flowing shape inspired by the infinite layers of the Grand Canyon. To furnish in an environmentally friendly and innovative way. Designed by Giancarlo Zema. 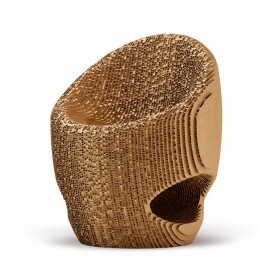 Recycled cardboard chair with a gentle flowing shape inspired by the infinite layers of the Grand Canyon. To furnish in an environmentally friendly and innovative way. Designed by Giancarlo Zema. 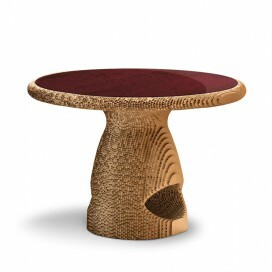 Recycled cardboard table with a gentle flowing shape inspired by the infinite layers of the Grand Canyon. To furnish in an environmentally friendly and innovative way. Designed by Giancarlo Zema. 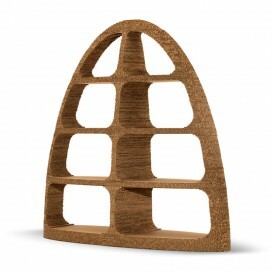 Recycled cardboard bookcase with a gentle flowing shape inspired by the infinite layers of the Grand Canyon. To furnish in an environmentally friendly and innovative way. Designed by Giancarlo Zema.